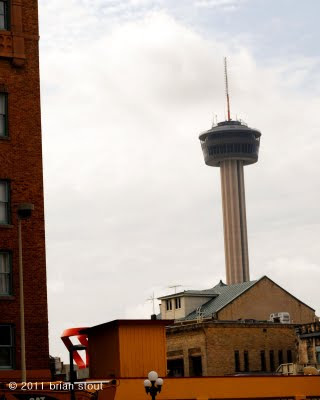 another tourist attraction that's hard to miss along the san antonio skyline... the tower of the americas. a long-standing remnant of the '68 world's fair! Neat photo, Brian. Mama and I went to HemisFair over Labor Day weekend and had a great time. Lots of cute Air Force men in attendance, so a young gal like I was then had plenty to look at, in addition to all of the great exhibits. Half marathon--way to go! I bet the view from the top is awesome.